Dr. Michael J. Snyder, D.C.
Dr. Snyder, a chiropractor and laser therapyspecialist has been practicing chiropractic since 1993, treating families, professional athletes, weekend warriors, as well as patients with auto and work injuries. 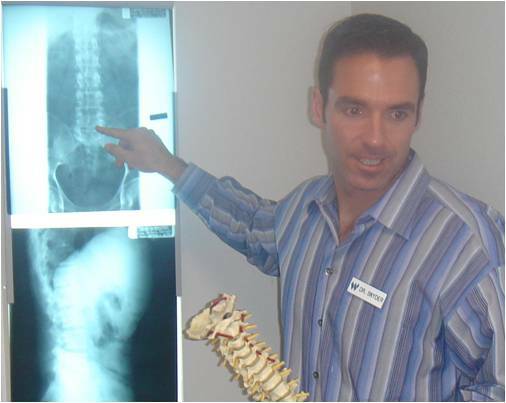 Dr. Snyder graduated from Los Angeles College of Chiropractic with a doctorate in chiropractic and has bachelor degrees in both Biology and Athletic Training. I do my best to offer a very personalized approach to my patients overall health & wellness by combining the benefits of Gonstead Chiropractic Technique, Physiotherapy (including Class IV High Power Laser Therapy), and Active Release Technique (Soft Tissue System) with stretching, strengthening and conditioning to offer my patients the best chance of achieving and maintaining their health and personal fitness goals.